Solanum lycopersicum. Pink Cherry. 60-70 days. Indet. 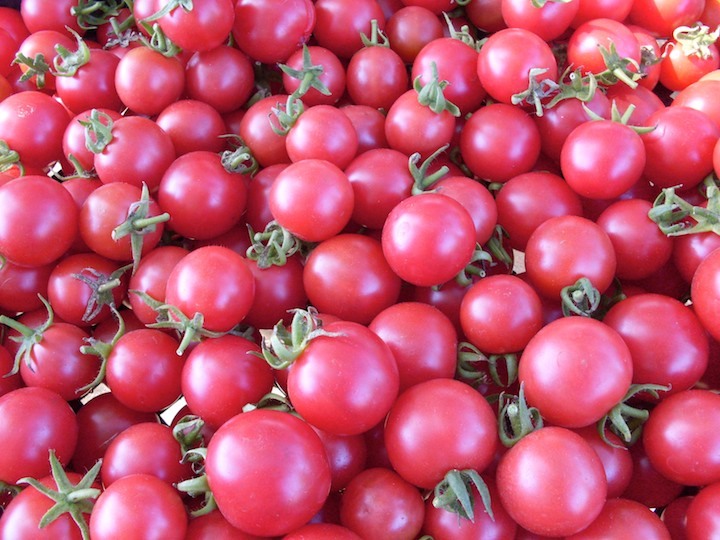 This tall, wild cherry tomato produces large quantities of small tart fruit with pink skin. 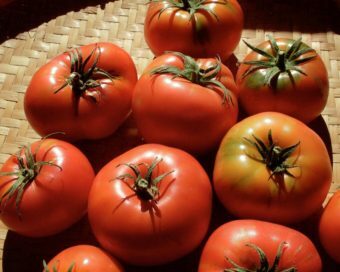 A little bit acidic for some, but many people prefer it at our tomato taste-offs. 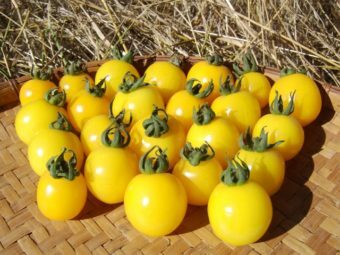 A unique variety in a world of super sweet cherry tomatoes. 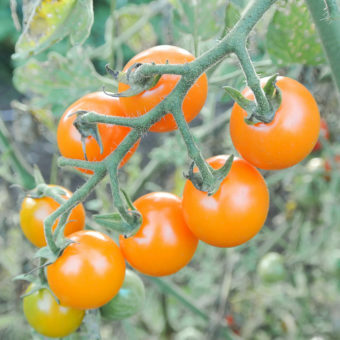 A friend told us that this type of tomato is found cultivated in parts of Central America and sometimes growing wild. 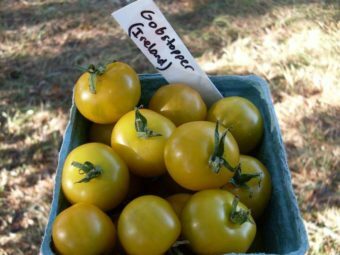 Our original seed was received from collector Gerhard Bohl when we visited him in Germany in 2007.